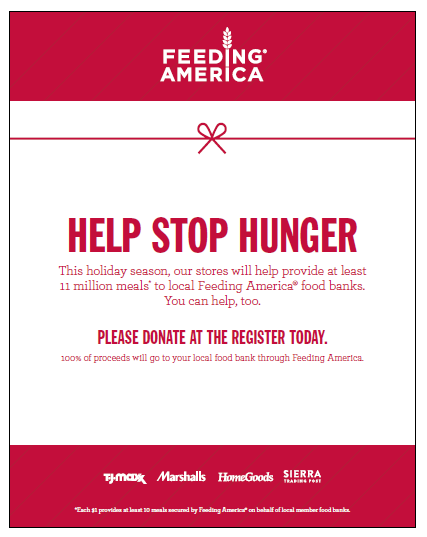 Donate at the your local TJMaxx, Marshalls, Home Goods, or Sierra Trading Post to provide meals to families experiencing hunger this holiday season. Hunger hurts even more during the holidays. Support local families experiencing hunger this season by donating at your local TJMaxx, Marshalls, Home Goods, or Sierra Trading Post stores. Every $1 donated can provide 3 meals.